Treating saints like superheroes is a dangerous game. 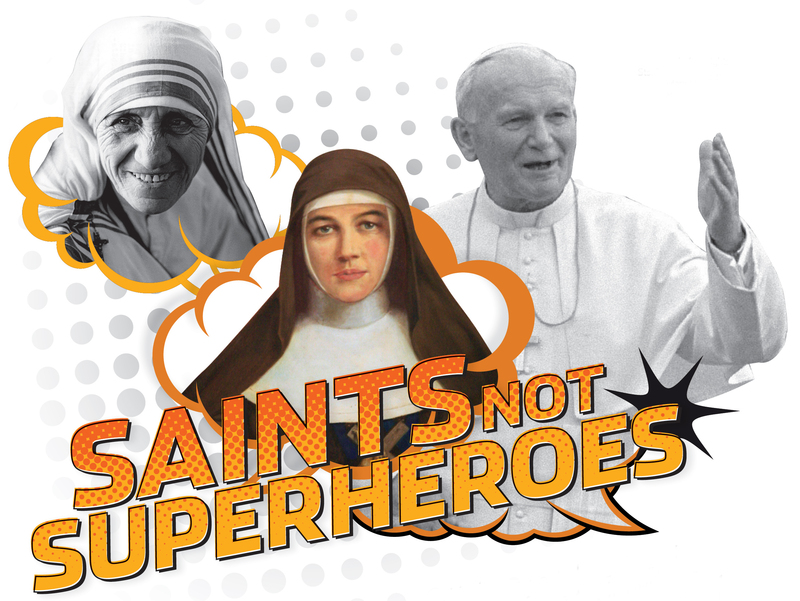 The saints should not be viewed as legendary superheroes: perfect people, close to God but not quite human. Since the earliest days of Christianity, the church has remembered exemplary Christians. The early Christians venerated in particular the memory of the martyrs; they preserved their remains and gathered at their graves on the anniversaries of their deaths. As Tertullian said of these witnesses, their blood was the seed of the church. It was also the origin of the cult of saints. But as the early era of persecution faded, it became clear that there were other ways—no less heroic—of living out one’s faith in the world, through prayer, asceticism and selfless service. New models of holiness emerged: desert monastics, teachers, missionaries, servants of the poor. Over time our relationship to saints shifted. Miracles were attributed to their relics. The stories of their lives became increasingly embellished by accounts of supernatural power. People began to look on the saints not so much as examples of heroic faith but as wonderworkers—heavenly patrons—who had God’s ear and could do us favors. Every town, guild or station in life—whether sailors, musicians, blacksmiths, cheese makers or musicians—had its special patrons. St. Catherine of Alexandria (a saint who in all likelihood never existed) became the patroness of maidens and women students, philosophers, preachers and apologists, millers and wheelwrights. All of this gave the impression that saints have little in common with ordinary folk. This was enhanced, over the centuries, by the overwhelming preponderance of nuns, priests and monks among the list of official saints. Look at the stained glass windows in any church and count the number of lay people represented. Thus, holiness became the attribute of people living in a special “religious realm,” beyond the reach of those who make up the vast majority of believers. When they call you a saint, it means basically that you are not to be taken seriously. Yet she herself was enormously devoted to the saints. She saw them not just as figures to be venerated, but as models, friends and companions, who responded to the needs of their time and so encouraged us in our efforts—no matter how limited in comparison—to do the same. That didn’t mean she was above praying to St. Joseph, patron of workers, for help in paying the bills. The point of the saints, however, was not just to do us favors, but to inspire us to be more like them—to respond more faithfully to our own call to holiness. When we contemplate the saints, we tend to look at a finished product. But before Francis of Assisi became “St. Francis,” he was just Francesco di Bernardone, the wealthy son of a cloth merchant. Before he became St. Ignatius, Iñigo Lopez de Loyola was a vain young soldier. There was a time when the woman who became Mother Teresa was simply Sister Agnes, an Albanian nun working in her order’s school in India. All of them started somewhere, in some unremarkable way, before venturing off the charts, taking a step into the unknown, responding to a voice that seemed to call them farther, deeper. As often as not, in the lives of the saints, that voice came to them from the needs of their poor neighbors—the sick, the orphaned, the prisoner—or a moment in history that seemed to call for some ultimate choice: Whom shall I obey? To whom am I ultimately accountable? All my life I have been fascinated by the examples of people who responded to that call, whether saints or other great souls. In my youth, I was particularly impressed by the example of young men, just a bit older than me, who were willing to go to jail rather than participate in what they believed was an unjust war. Some of them inspired my father, Daniel Ellsberg, to risk 115 years in prison for copying the top secret Pentagon Papers and making them available to the press. Many of them were inspired by Gandhi, Thoreau or Martin Luther King Jr. Some were alumni of the Catholic Worker movement. Their example prompted me to drop out of college in the 1970s and join the Catholic Worker community in New York City, where I had the opportunity to know and work with Dorothy Day, who has now been proposed for canonization. I won’t say that everyone I met there was a saint. But as St. Benedict said of his monastery, it was a school of holiness, a place where people were drawn to seek out the face of Christ in the poor and see what it might be like to live as if the Gospel were true. Some stayed for a lifetime. Others, like me, came for a while, in search of a vocation, searching for what we were supposed to do with our lives. Needless to say, that is not the effect I strive for. The great hagiographer Alban Butler described the saints as “the gospel, clothed as it were in a body.” That doesn’t mean that becoming a saint is like being fit into a pre-fab suit of clothes. It is more like a process, one that is never really finished but is the work of a lifetime. It is the process, as St. Paul put it, of putting off the old person and putting on Christ. As a result of this process, we do not emerge as another St. Francis, or for that matter another Merton or Day. In fact, as Merton would ultimately reflect, “For me to be a saint means to be myself.”If that is the goal of the Christian life, then I think we have much to learn from those who have walked this path. So what are the needs of the present moment? Previous models of sanctity tended to emphasize a world-denying asceticism. Think of St. Simeon Stylites, who perched for many decades on top of a tower. In this era of ecological consciousness, when our planet is threatened by greed, waste and indifference, we need a spiritual vision that affirms the earth, bodily existence and our relationship with nature. There are many examples of holiness expressed in the practice of charity. We need more examples, like Dorothy Day, who combined service to the poor and needy with the struggle for just social structures. As she said in her youth, “Where were the saints to change the social order; not just to minister to the slaves but to do away with slavery?” It is a question she answered with her life. Many saints of old operated out of chauvinistic attitudes toward other cultures and religions. Think of the Crusades and the conquest of the Americas. We need models of saintliness that seek out and affirm the presence of God in other cultures and religious paths. I have tried to seek out and describe such people. In writing about such “saintly witnesses,” I have ventured to include figures beyond the Catholic or even Christian tradition. Personally, I think it is important that we step outside the box that makes us think only Catholics are God’s special friends, that only officially canonized saints can open our hearts to the sacred or inspire us to love our neighbors or stand up for justice. The power of great minds and souls is not restricted to those who pass the rigorous test of canonization. Pope Francis organized his talk before Congress last year around those he called “four great Americans”: Abraham Lincoln, Martin Luther King Jr., Thomas Merton and Dorothy Day—only two of them Catholic, only one of them a candidate for canonization. Such figures, he said, offer “a new way of seeing and interpreting reality.” In fact, in that phrase, I think he offers us a new way of seeing and interpreting the function of saints—while also helping us transcend the somewhat artificial boundary we set up between ourselves and the select company of the canonized. There are many great saints who did these things. But there are others—some obscure, perhaps not Christians or Catholics, not entirely orthodox, not entirely pure, whom I am confident God will welcome into paradise before those of us who fail the test of mercy. I hold them up not as candidates for canonization, but with the hope that in their stories someone might hear the voice that is calling them to go farther, to go deeper. Jesus never outlined the criteria for canonization. But he enumerated a list of those who were “blessed”: the poor in spirit, the merciful, the pure of heart, the peacemakers. These are not exactly the traditional criteria for naming saints. But they come closer to characterizing the qualities that unify the diverse men and women whose stories are recounted in my books, all these “blessed among us.” They are not perfect people, much less superheroes. But in their own individual ways they have shown what it means to be one’s true and best self. And in doing so, they inspire us to do the same. This article is adapted from a talk given at the Sheen Center in New York City on Sept. 28, 2016. I'm afraid that the caretakers of the Greek Orthodox Monastery of St. Catherine in Sinai, Egypt will be sorry to read that their patron saint, Catherine of Alexandria, is "a saint who in all likelihood never existed." And it will be a disappointment also to those pilgrims who still make their arduous way to the Monastery to honor the relics this fourth century Christian martyr. I'm disappointed too because my sixteen-year-old granddaughter was named by her philosopher parents for Catherine of Alexandria, patron saint of philosophers. What happens now with all those treasured icons which show the saint with the wheel on which she supposedly was tortured for arguing with pagan overlords? Robert Ellsberg provides an important caution for all of the faithful in how we view the women and men who lived "lives or heroic virtue." It would be a mistake to view them the same way as the mutants, aliens, boys bitten by radioactive spiders, and scientists zapped by gamma/cosmic rays that make up much of the superhero pantheon. But what about Batman, the self-made superhero--a man who transforms childhood trauma into a fight for justice with only brains and acrobatic training? Though his post-modern imaginings have been pretty dark, Batman may be a secularized saint--who responds to darkness with a life of heroic virtue--no gamma rays required. In the Psalms we find safety and guidance in following some aspects of the saints’ lives without danger. The lives of the saints, while useful as role models in many respects, also contain miracles and some personal behaviors that are impossible - maybe even dangerous - to try to imitate. God gave each saint the gifts necessary to do His Will. He gives each of us the gifts that are necessary to do is Will. The Psalms keep us in the communion of the saints by teaching us how we, with many emotions, may develop the same temperament, thoughts, words, and deeds as all the saints have cherished and spoken. This article also appeared in print, under the headline "Saints Not Superheroes," in the March 20, 2017 issue. Robert Ellsberg is the editor in chief and publisher of Orbis Books. He is the author of Blessed Among Us: Day by Day with Saintly Witnesses (Liturgical Press).